Be reminded of warm summer days in the pool with this vintage print! An elegant lady is enjoying an afternoon swim in a lido. 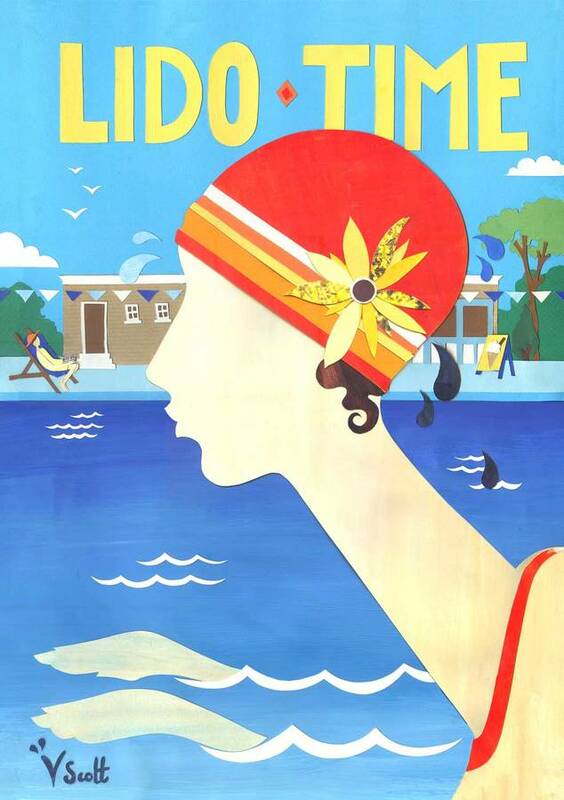 This retro print was inspired by Vickys local lido (Pells Pools in Lewes) as well as vintage travel posters from the 1920's and 30's. 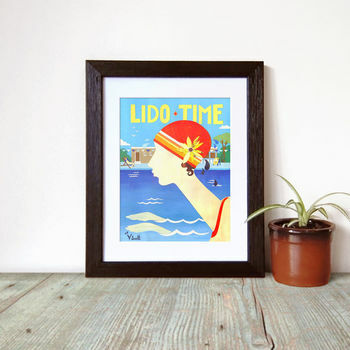 This print would be perfect for swimming enthusiasts and fans of vintage posters. The piece is a print taken from a paper collage made from canford colour papers, envelopes, magazine cuttings and handpainted papers. Lido time can be personalised with your own short message. Please get in touch for more details.